Submitted by Mike Penn on 20 November 2018. 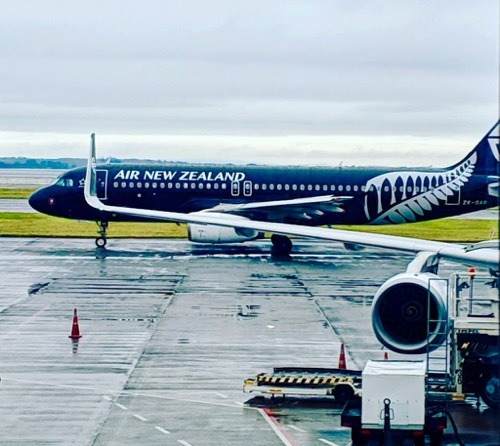 This story starts with my first step onto the ground in Christchurch, New Zealand, from the airplane that I took from Houston. An Air New Zealand airplane at the Christchurch Airport As I stepped off of the airplane into the airport, I knew that I was supposed to go from my gate and check in with the United States Antarctic Program representatives. Then, after going through customs and checking in with the United States Antarctic Program desk we were told that we WOULD be getting on a shuttle at our hotel at 0745 in the morning to report to the USAP for the issue of our Extreme Cold Weather gear. We were then told where to get to the shuttle that would take us to our hotel, the “Rendezvous Hotel” in Christchurch. Most, but not all of the people on my team are staying there. The shuttle took us to our hotel about 10km away. There were about 10 of us. Everyone was very friendly and all had interesting jobs and some great stories. This is a nice hotel but there are a few differences between this hotel and a normal hotel back home. The biggest difference is that in order to have the electrical work in my room, I have to put my key card in a little slot. If the card isn’t in the slot… no electricity on the room. 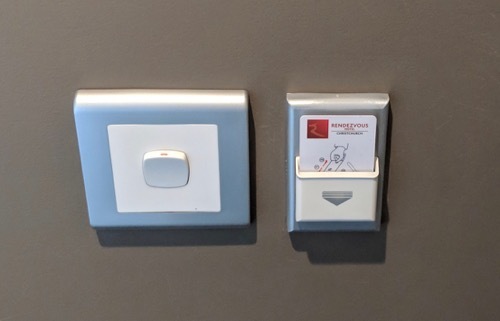 A room key in this slot is required for ANY electricity in the entire room. On February 22, 2011, Christchurch had a magnitude 6.3 earthquake. 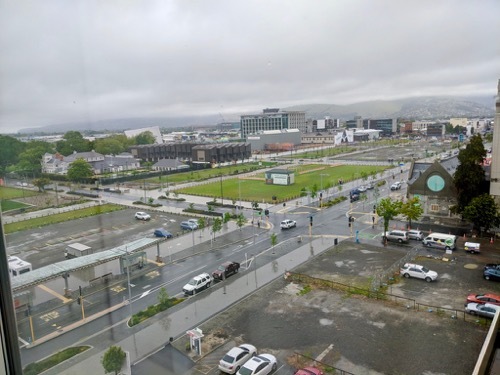 It caused severe damage in Christchurch and a nearby town called Lyttelton, killing 185 people and injuring several thousand. Much of the downtown area was completely destroyed and large portions of what used to be the downtown area still haven't been rebuilt. In 2011, Christchurch had a terrible earthquake that killed 185 people. It is still in the process of recovering. The US Antarctic program takes our safety very seriously and even gives us a card with instructions to follow to check in if an emergency like an earthquake were to happen. 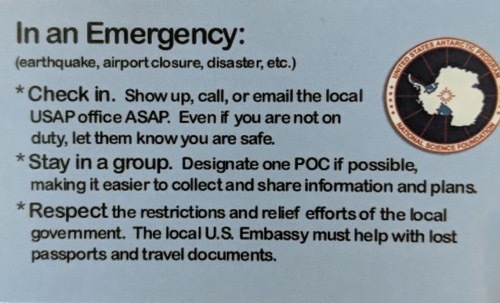 The USAP gave each of us this card with instructions to follow in case of an emergency like an earthquake here in Christchurch, NZ. Here is a link to a New Zealand government website about the history of the earthquake. i just read about your New Zealand trip. That sounds sooo cool! Is it fun being able to go to all those places? Yes! My whole PolarTREC experience has been great! We flew to Alaska for a week and I flew to Madison, Wisconsin twice and to New Zealand, not to mention being here in Antarctica and later this week to the South Pole!! How cool is that? Celeste, I really appreciate you reading my journal and taking the time to say an encouraging word! Thank you! What do you usually eat when you out in Antarctica? 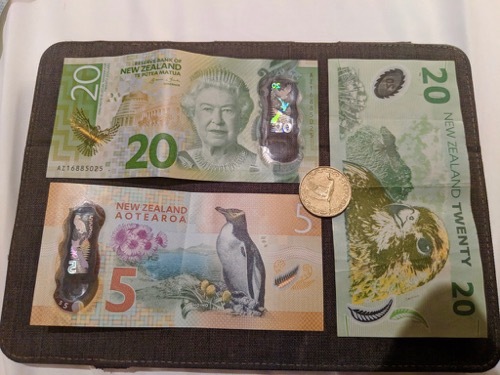 Hey I am one of Kevin's students and I was just wondering how long was the ride to New Zealand. Love your stories hope you have fun. Treg, The flight from Houston to Auckland New Zealand was 15 hours then there was another 1.5 hour flight to Christchurch, then another 5 hour flight to McMurdo and THEN there is another 5 hour flight to South Pole! I really appreciate you reading my journal and taking the time to say an encouraging word! Thank you! This is really cool! Do you have fun doing science down there? Gracie, I haven't stopped having fun. I LOVE meeting new people and learning new things! I really appreciate you reading my journal and taking the time to say an encouraging word! Thank you! This is super cool!! How long was the travel time total? What would you do on the plans? What is your favorite part about Antarctica so far? Brielle, Wow, that was a lot of questions! I've answered a few of those other places so try to check out some of my other responses to similar questions! Travel time....hmmm...it was 3 hours from Pittsburgh to Houston, 15 hours from Houston to Auckland, NZ, 1.5 hours from Auckland to Christchurch, NZ, 5 hours from Christchurch to McMurdo and another 5 hours to the South Pole. So...that is a total of 29.5 hours in airplanes from Pittsburgh to the South Pole.